Enjoy making art and accessories at this month’s workshops. Next time you get a compliment on your accessories, you can say, “I made that myself!” with these classes. 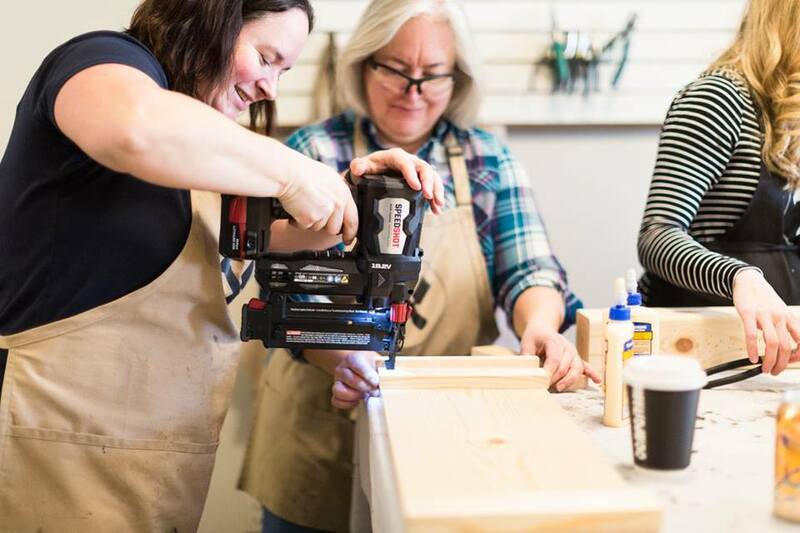 With locations scattered around the Twin Cities, do-it-yourself classes provide a fun way to make a gift or art piece for yourself, your friend, or your home. Check out the ones happening around the area this month below. Gathered Goods Company was started by two crafty women with a mission to start a boutique and host creative workshops. They look for unique, local pieces and have a passion for giving back. Classes cost $40-45. Wednesday, Feb. 20: Knitting workshop with CloseKnit MN, 6 p.m.
Thursday, Feb. 21: Donation box, 6 p.m.
Wednesday, Feb. 27: Macramé wall hanging, 6 p.m.
For additional info and locations, visit gatheredgoodscompany.com. If you can paint by numbers, you can create a funky pet portrait. Enjoy a three-hour class centered around your pet. You must pre-register and send in photos beforehand, so plan ahead. Gray Duck Art will customize your picture to a paint-by-number canvas to fill with colors of your choice. Tickets cost $60 per person. Monday, Feb. 18: Paint your pet at Lakes & Legends Brewing Company, 6 p.m.
For additional info and locations, visit grayduckart.com. LAB MPLS partners with local businesses and artists to teach creative workshops in its industrial yet feminine studio. Classes are around $125, but the leather stamping class is free. Saturday, Feb. 2: Leather stamping with FORD, 10 a.m.
Saturday, Feb. 9: Handwoven LAB, 10:30 a.m.
Wednesday, Feb. 20: Leather LAB 1.0 (beginner’s level), 6:30 p.m.
Wednesday, Feb. 27: Brush calligraphy LAB, 6:30 p.m.
Join artist Jodi Reeb at the Minnesota Landscape Arboretum for a free exhibition and workshop. Reeb’s paintings combine prints taken at the Arboretum with encaustic painting to show her love for bees. Encaustic paint is made of beeswax and pigments and adds texture to Reeb’s art. Saturday, Feb. 9: Exhibition and workshop, 1:30 p.m.
For additional info and locations, visit nemaa.org. Personalize your home with any of Paint & Pallet’s designs. Just pick a template on its website and register for one of the public classes. Make a Minnesota-themed, holiday, or humorous art piece. Standard signs are $45 to make, and 4’9” porch signs start at $65. Every Friday: Public class, 6 p.m.
Every Saturday: Public class, 1 p.m.
For additional info and locations, visit paintandpalletdiy.com. Located in Hopkins, Projects in Person guides DIYers through furniture and accessory projects. Projects in Person specializes in minimalist designs using wood. Workshops start at $55. Wednesday, Feb. 6: Copper and wood ladder, 7 p.m.
Wednesday, Feb. 13: Serving tray, 7 p.m.
Thursday, Feb. 14: Cutting board, 7 p.m.
Friday, Feb. 15: Headboard, 7 p.m.
Saturday, Feb. 16: Framed wood sign, 5 p.m.